Don’t call it an official launch just yet, but Samsung has opened up Samsung Pay, its mobile payments platform, to Canadian users — though you’ll need a CIBC Visa credit card and one of the company’s recent smartphones to check out the app. CIBC customers can register to use Samsung Pay “early” by visiting this website. Once there, supply your email address and the company will send you a message with a link to download Samsung Pay. If you tried to check out Samsung Pay yesterday, the app should now allow you to add your CIBC credit card properly. Note that only Samsung’s recent high-end Galaxy smartphones — specifically the S6, S6 edge, S6 edge+, Note 5, S7 and S7 edge — have the necessary hardware to facilitate touch and pay functionality. On the plus side, if you do own one of the company’s newer handsets and you’re a CIBC customer, you’ll be able to use your smartphone to touch and pay at a greater variety of point of sales machines across the country than the competition. Part of the platform’s hardware specification is a magnetic coil that allows Samsung Pay-enabled smartphones to transmit a user’s credit card information through older magstripe reader point of sales machines. 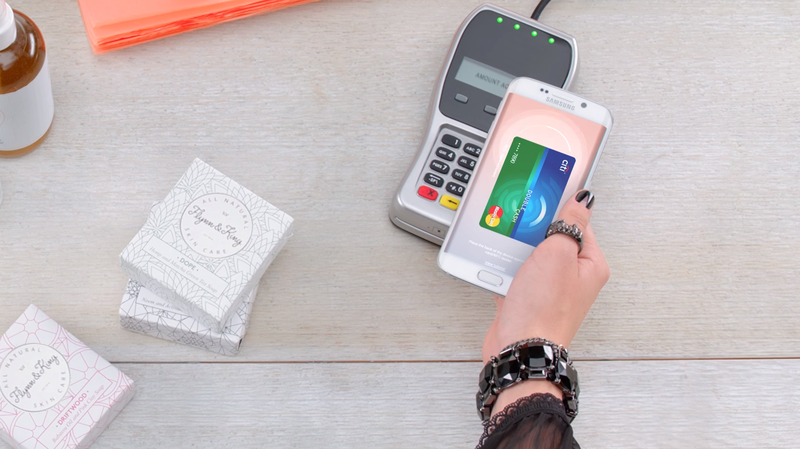 There’s no word yet on when Samsung Pay will be supported by other banks.